When Mark turned 12 years old, his parents gave him a small refracting telescope for his birthday. He couldn’t wait to get out under the stars with that little scope (which he has kept all these years). The first object he looked at was the Moon. The moment he brought that first view to a sharp focus, he was overcome with the beauty and the sheer magnificence of the sight. That fateful night of viewing started Mark’s life-long love of the heavens. 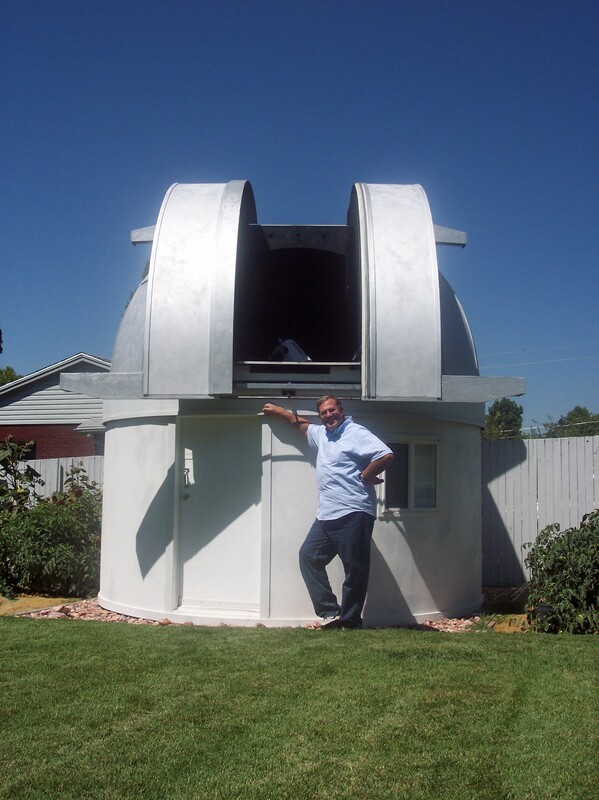 Over the years, Mark purchased bigger and bigger telescopes, read everything he could find on astronomy, and began to share his knowledge of the subject with others. On one such occasion, years ago, he was asked to do a presentation at the University of Utah. During that presentation, a certain young woman kept asking him questions. After the presentation he took the group outside, set up his telescope, and proceeded to show them the objects he had discussed in his presentation. When the observing session was complete and people were starting to leave, that inquisitive, young lady was still asking him questions. He was so taken by her genuine interest in astronomy–and also him–that he began to date her, and not long after, asked her to marry him! She has been his wife and stargazing partner now for many wonderful years.